With Houston being one of the nations most rapidly expanding economies of spring 2016, CRI was presented with an exception-al project by Nike. 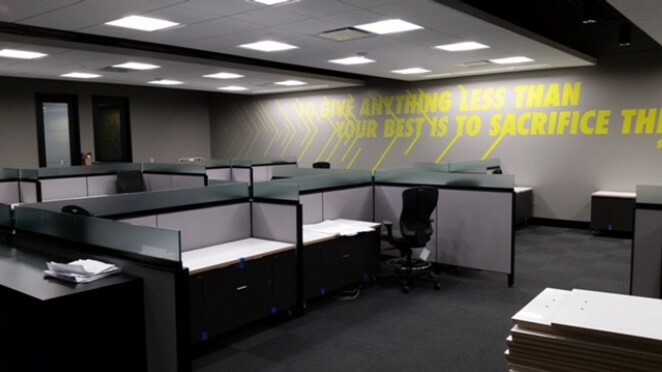 Our team working as fast as possible with on-ly two days to complete, we took a bland, open workspace and transformed it to an upbeat, creative atmosphere where Nike could execute daily operations. Our experts worked over night to install 20 Knoll workstations, 4 showrooms and a conference area.